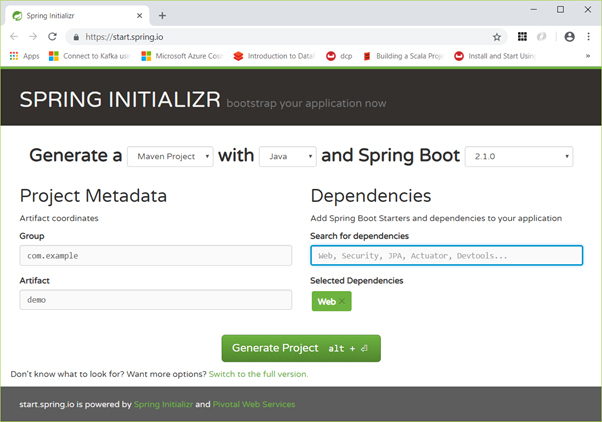 Spring Initializr is a web tool which is provided by Spring on official site https://start.spring.io/ We can create Spring Boot project by providing project details. 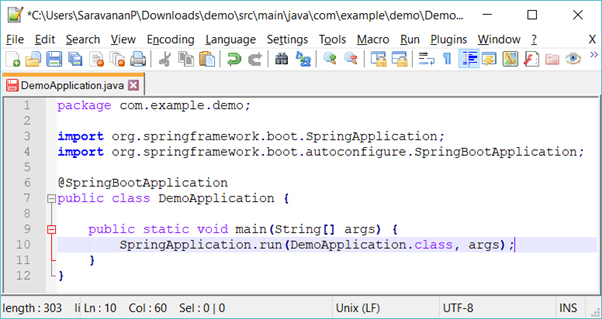 In the below example, we added the springboot-starter-web dependency to write REST Endpoints. After providing the Group, Artifact, Dependencies, Build Project, Platform and Version, click Generate Project button. The zip file will get downloaded and the files will be extracted. After the project is downloaded, unzip the file. 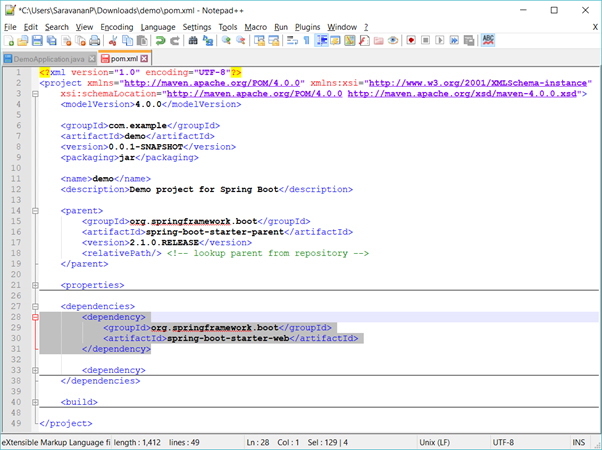 The maven file pom.xml will have the Web dependency we had selected above. Note that only the Spring boot starter parent has a version number. 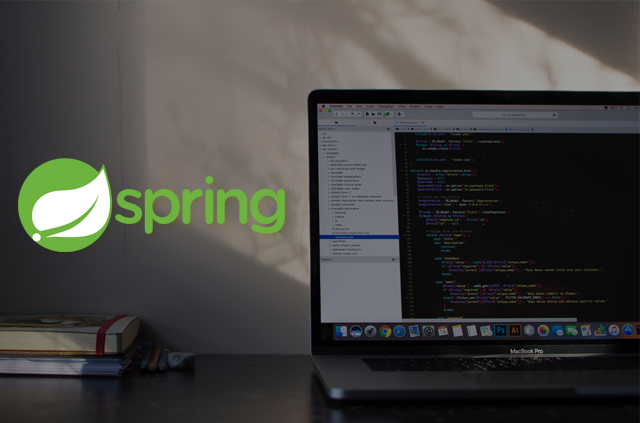 Spring boot starter web doesn’t have a version as it is automatically configured based on version of the parent. 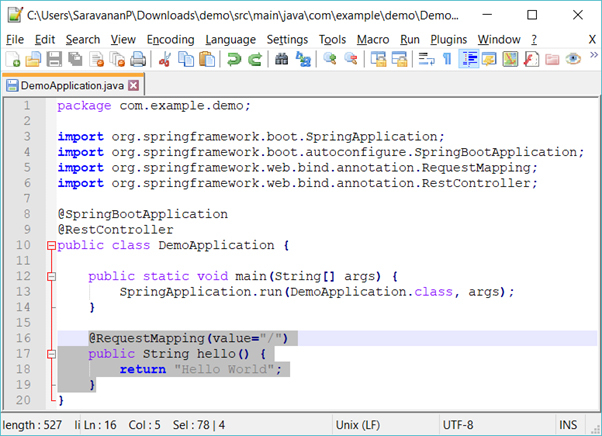 You can find the main class file under src/java/main directories with the default package. Firstly, add the @RestController annotation at the top of the class. Now, write a Request URI method with @RequestMapping annotation. 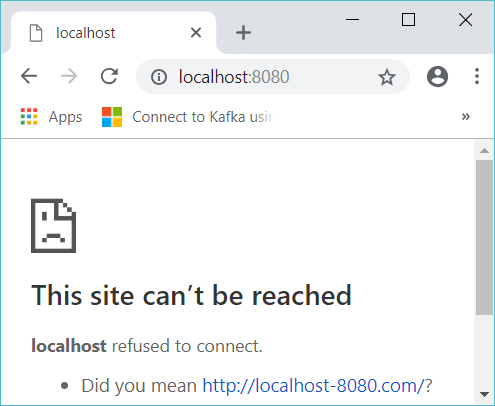 Then, the Request URI method should return the Hello World string.